Follow & like us for updates! 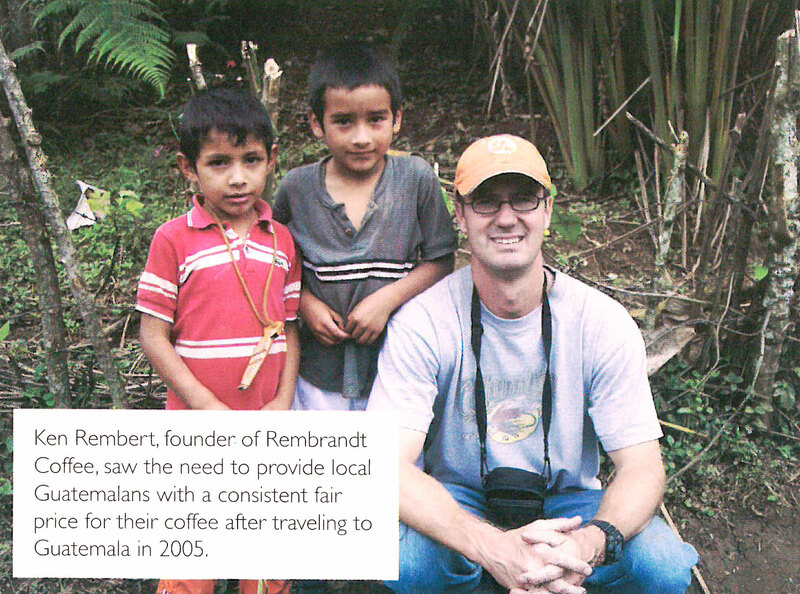 We started Rembrandt Coffee, a Gainesville coffee roaster, after traveling to Guatemala in 2005. We saw the need to provide the local people with a consistent fair price for their coffee. We compensate them about 20% above the fair trade price in the area and we have been importing the coffee to roast in our bagel shop in Gainesville since then. We are now expanding to restaurants and retail stores. Every year the quality of the coffee increases, and we feel it is as high as any coffee in the world. Please enjoy it and know you are making a difference with each sip! Rembrandt Coffee works directly with growers in Guatemala to bring you the finest coffee. As a locally based Gainesville coffee roaster, the coffee is roasted at the Bagel Bakery in Gainesville, Fl., or beans can be shipped to you anywhere in the world. But the relationship with the growers in Guatemala is a two-way street. Rembrandt Coffee is impacting the small Guatemalan community in a positive way. When you purchase from Rembrandt Coffee, you are helping the growers, their families and their communities.